A desire for smaller government, abolishing taxes and getting government out of US citizen’s lives are just a few of the unifying themes among all those affiliated with and identified as supporters of the TEA party. TEA party = Taxed Enough Already party. Add to this a seething, palpable loathing for President Obama, his administration and what they believe are the policies of the Obama administration. Usually, when times get tough in the United States, the phrase ‘the good old days’ can be heard, uttered with longing, having been dusted off and interjected into society’s discourse, with ‘tough times’ and ‘good old days’ being relative to the speaker and understood by those listeners of like mind. Folks begin to seek a comfort zone, attempting to re-create, to the best of their abilities and recollections, a time and circumstances when they believe they understood their lives, things made sense to them and when they felt they had the most control. An assortment of variables but, at the forefront, financial instability, coupled with worries for the future, brought on by financial instability and many times, merely a generalised, undefined fear of the future, motivates segments of society to revise and re-write history to reflect a desired journey back to a newly sanitized past. By design, the TEA Party is recognised to be loosely aligned local and state units, with its membership and supporters proudly proclaiming its independence, to their way of thinking, due to its lack of traditional organisational structure and functioning. Forensic political dissection of the origins of the TEA party has proven links between the TEA party, the insurance industry and the Republican party, a bothersome pedigree that is still denied by many within the TEA party. 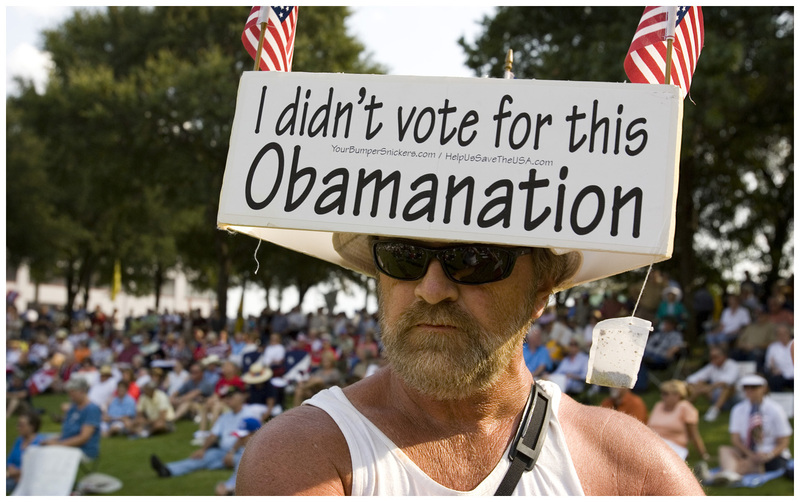 After gathering momentum during its opposition to health care reform legislation, during the summer of 2009, which, despite orchestrated opposition to the reform, was successfully passed in the spring of 2010, the TEA party has struggled to find its political stride. According to a number of polls that have attempted to identify the TEA party, it is comprised of those identified as Democrats, Independents and Republicans, although most individual supporters or members of the TEA party identify strongly with the Republican Party. Republican politicians have courted and aligned themselves with TEA party elements. Republicans like Ron Paul, Rand Paul, Michelle Bachmann, Sharron Angle, Tom Tancredo, to name a few, are adopting the talking points and issues of the TEA party. Headquartered in St. Louis, Missouri, the Council for Conservative Citizens (CCC), founded by the reconstituted former leadership of the Whites only Citizens’ Councils established in the southern United States in the 50s and 60s, known by many as the ‘white collar Klan’, proudly proclaims its influence within the TEA party. Those enamored of the TEA party view it as a viable, developing third party choice to the Democratic and Republican parties. Although, they may succeed in exerting influence in races and on some issues, due to its origins, the lack of organisational cohesion and its troubling inability to distance itself from racist and fringe elements that are attracted to it, the TEA party, regardless of its desire to be otherwise, functions as the extreme Right Wing auxiliary arm of the Republican party, the party most TEA Partiers and supporters say is the party with which they share most ideological identity.